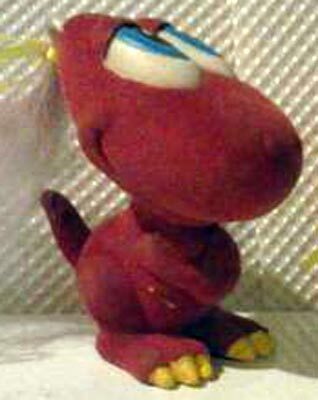 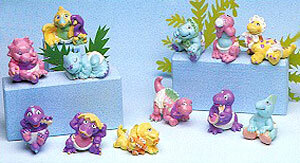 Tiny Dinos were produced by LJN in 1987 and Applause in 1992-3. 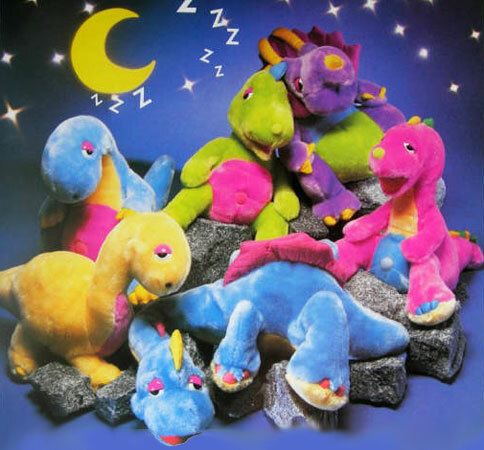 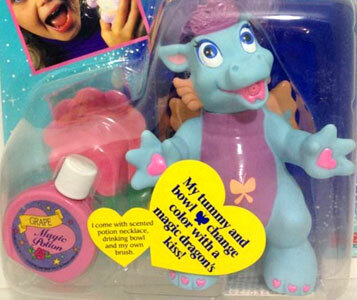 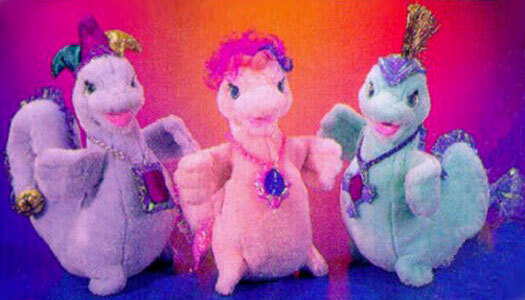 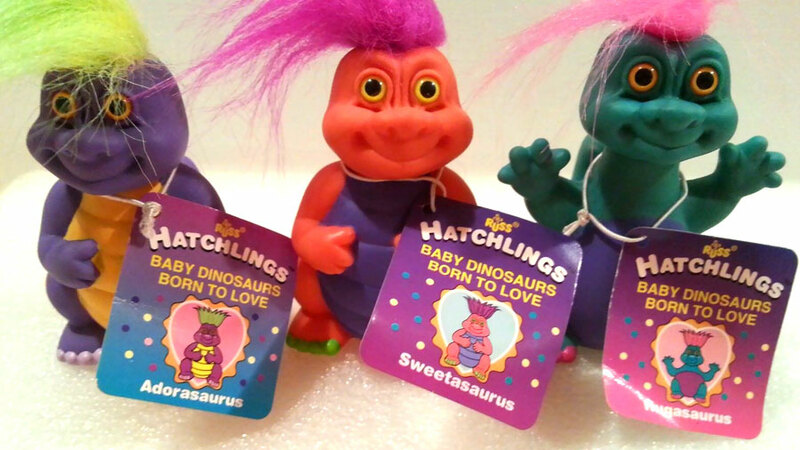 They were a small set of soft toy baby dinosaurs based on the books by Guy Gilchrist. 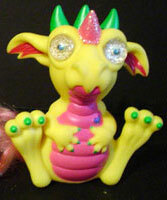 There was also a few accessories produced too. 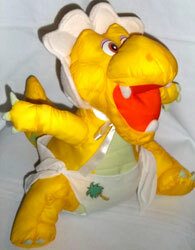 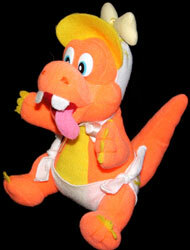 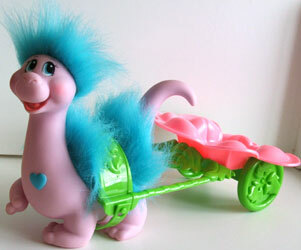 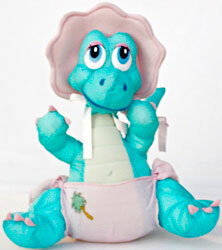 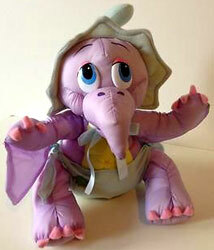 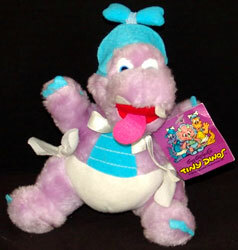 There were at least five soft toy baby dinosaurs produced by LJN Toys in 1987 (there may have been an orange one too). 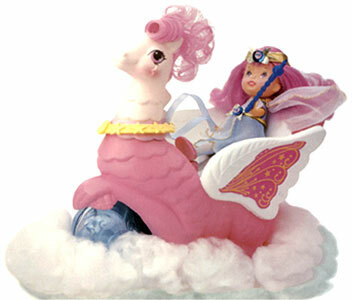 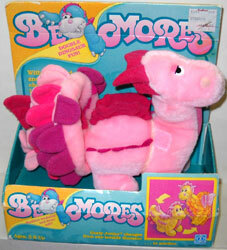 They were about 12 inches heigh and made of a similar fabric to Smooshees and Puffalumps. 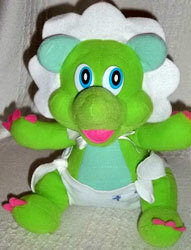 They each came wearing a bonnet and nappie with a palm tree image on. 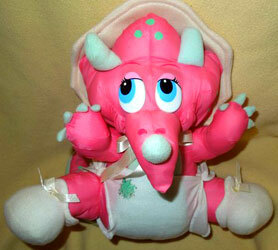 The pink one also all have come with booties. 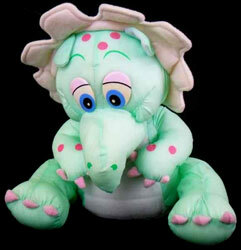 There were at least two 9 inch heigh, soft fabric Tiny Dinos produced by Applause in 1992. 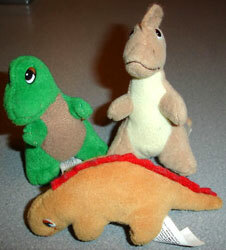 There was at least one 9 inch heigh plush Tiny Dinos produced in 1993 (unsure of company).